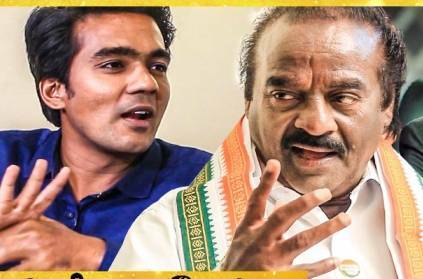 In an interview with Behindwoods Air, Madai Thirandhu show, Vasanth & Co owner, businessman and politician, Vasanthakumar opened up about his political venture and his plans for the city. When questioned about how Kanyakumari is split as two in the name of religion and how people vote for the candidate from their religion, Vasanthakumar replied saying that it was in the past and that both him and Ponn. Radhakrishnan are hindus and people will vote for whom they prefer and whom they think has served for them. The anchor questioned about BJP's manifesto and he replied saying it is not a proper manifesto and that they have drawn plans till 2097. He also question for which generation the plans have been drawn to. When asked about Ponn. Radhakrishnan's complaint on Vasanthakumar, that him being anti-development, he replied saying environment is important as well and that he will not promise something he cannot do. He also brought to attention how Radhakrishnan didn't fulfill his previous promises. He also spoke about how Modi didn't fulfill his promises as well. When asked about how Modi was a strong PM candidate and why Congress doesn't name Rahul Gandhi strongly as a PM candidate, he replied question is Modi a strong candidate. He added that Modi didn't meet the common people even in times of trouble. When asked if Congress didn't have confidence on Rahul, he said it is not like that and they go amicable with their alliances. For detailed interview, you can watch the video here. This page contains news relating to various facts and events. The views are generally about current affiars and general topics in diversified areas such as political, international, national, and regional issues, sports, health, travel, lifestyle, technology and business. People having similar interets on the above topics will find this page useful. "Who, Modi is a strong PM candidate?" questions Vasanth & Co owner | Tamil Nadu News.